The use of CBD oil has become incredibly popular in humans and pets alike. While several articles discuss the benefits, efficacy, and safety of CBD oil in aging dogs, few focus on its use in senior cats. 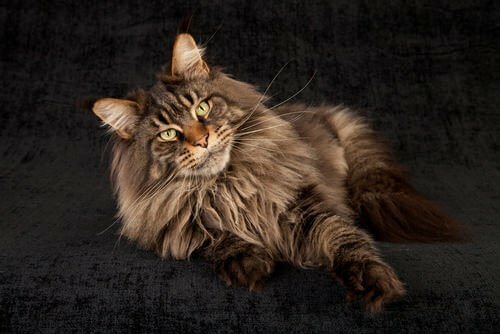 Not only does CBD oil offer felines many of the same health benefits as canines, it may also help senior cats better deal with the symptoms of issues commonly found in old age, such as asthma, joint pain, chronic upper respiratory infections, and Feline Lower Urinary Tract Disease. CBD stands for cannabidiol, one of dozens of chemical compounds known as cannabinoids found in cannabis. CBD is an extract of hemp, a plant that like marijuana is a strain of the species, Cannabis sativa. 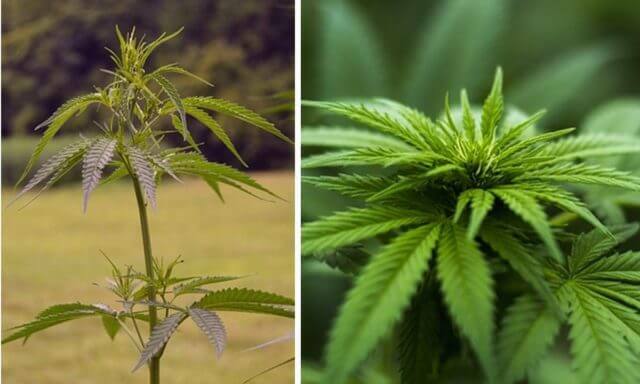 While both hemp and marijuana share certain similarities, they differ where it matters – the concentrations of their cannabinoids. Marijuana is low in CBD when compared to hemp, but high in the mind-altering cannabinoid, tetrahydrocannabinol or THC. THC is what gives marijuana its psychoactive properties and accounts for its signature “high.” It is also what makes marijuana dangerous to dogs and cats. Responsible pet owners know the risk of accidental marijuana ingestion, and keep it far away from their cats. Hemp’s close relation to marijuana makes them understandably cautious to treat their senior cats with CBD oil. However, unlike tinctures made from the marijuana plant, CBD oil from hemp contains only the slightest trace of THC. In fact, as long as the THC content is 0.3% or less, CBD oil is perfectly legal in all 50 states. Some companies even utilize an additional step in the manufacturing process to remove every last bit of THC from their products. Why should you consider giving your senior cats CBD oil? Studies have shown that CBD has anti-inflammatory properties, reduces anxiety and pain, lessens seizure activity, and improves overall well being. In addition to its many medicinal benefits, CBD is also quite safe for senior cats as long as it contains little to no THC. Many veterinarians and pet parents have actually reported positive side effects. For example, they begin using CBD to help their cat cope with arthritis and find that he or she also enjoys relief from asthma symptoms. Inflammatory Bowel Disease: Cats with IBD suffer from chronic irritation and inflammation of the GI tract. Due to its anti-inflammatory properties, CBD may provide relief. 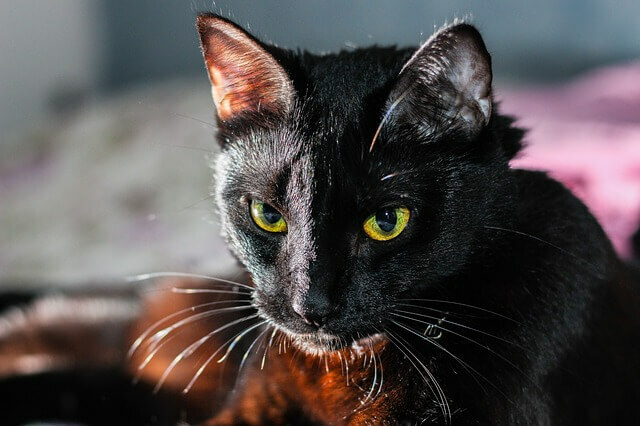 Pancreatitis: Senior cats with IBD, diabetes, and certain infections may also develop pancreatitis, but the condition can also develop independently. Pancreatitis is very painful and potentially deadly. It occurs when the pancreas becomes inflamed, disrupting digestion. Once again, CBD acts as an anti-inflammatory, potentially aiding a cat dealing with pancreatitis. Arthritis: Several anti-inflammatory pain meds exist for the treatment of canine arthritis, but senior cats are not so lucky. 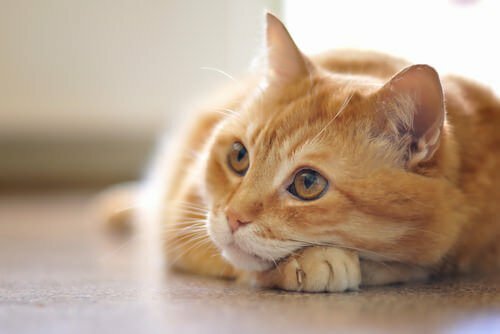 CBD oil may help cats with achy joints. Feline Lower Urinary Tract Disease describes a variety of conditions that affect the bladder and urethra of cats. These problems cause pain and inflammation of which CBD may provide relief. Asthma: Asthma is yet another common inflammatory disease in cats. CBD may be a great option to reduce bronchial inflammation, lessening the number of asthma attacks. Chronic Upper Respiratory Infections: Many cats suffer from life-long viral infections of the respiratory system. Symptoms include chronic congestion, sneezing, and itchy, runny eyes. Again, the powerful anti-inflammatory properties of CBD may provide relief. Seizures: CBD acts as a neuroprotective agent, which means it may aid in frequency and intensity of seizures. 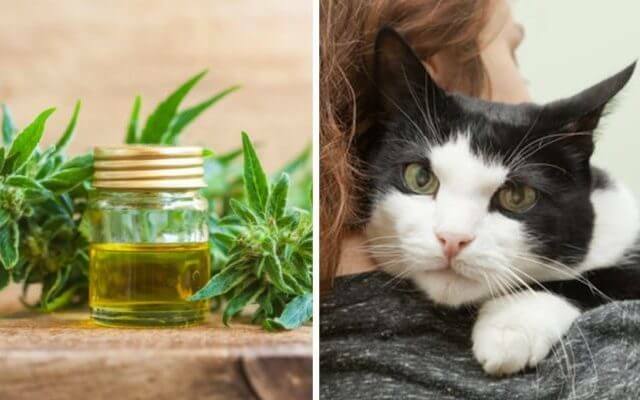 Which CBD oil should you choose for your senior cats? Not all CBD oil products are the same. When it comes to delicate senior cats, you want the safest available. 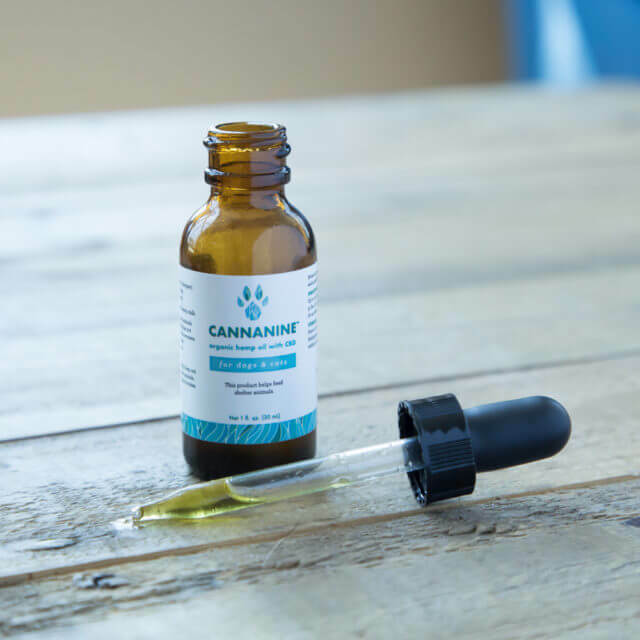 Cannanine™ Organic Hemp Oil is non-GMO, free of toxins, heavy metals, and harmful bacteria, and formulated specifically for use in dogs and cats. It is also one of the few CBD products on the market that is 100% free of THC! The Food and Drug Administration have not evaluated these statements. This product is not intended to diagnose, treat, cure, or prevent any disease. The information on this website is not intended to replace a one-on-one relationship with a qualified healthcare professional.